This test detects the change in the SCN4A gene. → Temporary paralysis in Quarter Horses. Please contact us for breeder discount before placing the order. Symptoms can vary strongly in severity. May be life-threatening when heart or lungs are affected by paralysis. 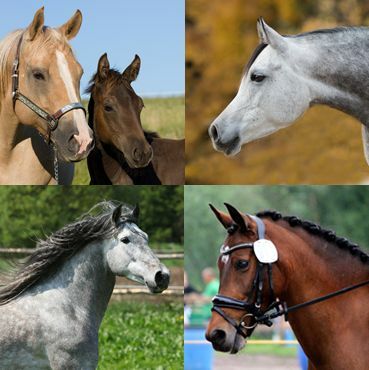 Homozygous horses (animals with two copies of the genetic variant) show more severe symptoms than heterozygous individuals (animals with only one copy). Symptoms may occur more frequently after changes in diet, stress or transportation. Inproper signalling between brain and muscles/organs causing the periodic paralysis. HYPP can be traced back to the sire “Impressive”. 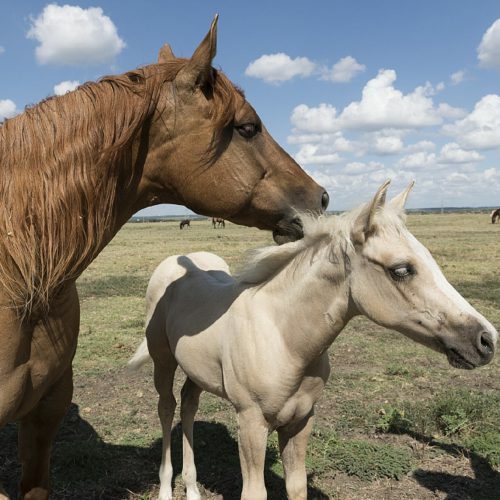 → HYPP is an autosomal dominant hereditary disease, meaning that horses with one or two copies of the genetic variant (n/HYPP or HYPP/HYPP) are affected. n/n normal. 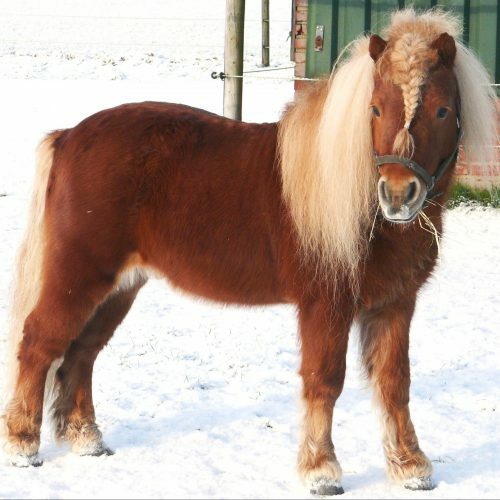 The horse does not have any copies of the genetic variant causative for HYPP and therefore cannot pass it on to any offspring. n/HYPP affected (heterozygous). The genetic variant causative for HYPP will be passed on to its offspring with a probability of 50%. These 50% will also be affected (n/HYPP). HYPP/HYPP affected (homozygous). The genetic variant causative for HYPP will be passed on to all offspring. All offspring will also be affected (n/HYPP). Affected animals (n/HYPP or HYPP/HYPP) should not be used for breeding. Rudolph, J. A., Spier, S. J., Byrns, G., Rojas, C. V., Bernoco, D., & Hoffman, E. P. (1992). Periodic paralysis in quarter horses: a sodium channel mutation disseminated by selective breeding. Nature Genetics, 2(2), 144-147. doi: 10.1038/ng1092-144.